Technological developments in optics provide a powerful means for solving problems in medical, biological, environmental, and cultural heritage areas. The application of these new methods requires the collaboration of scientists and engineers in optics and specialists in medicine, biology, environmental sciences, and cultural heritage. A wide range of interactions between universities, research institutes and industry is necessary. The OWLS society is a not for profit organisation formed on August 13th 1990 to serve this need. In 1992 OWLS was officially accredited by the United Nations as non-governmental organisation to the United Nations Conference on Environment and Development (UNCED), the so-called "Earth Summit". We hold a major international conference every two years. OWLS Society is an International Society Member of the International Commission for Optics (ICO), the world body of national and international optics and photonics societies. OWLS XIV, Mumbai, India, 6 - 19 March 2016. OWLS XIII, Ningbo, China, 10 - 12 June 2014. OWLS XII, Genoa, Italy 4 - 6 July 2012. OWLS XI, Quebec City, Canada, 28 - 30 September, 2010. OWLS X, Singapore, July 2 - 4, 2008. OWLS IX Taipei, Taiwan November 26 - 29, 2006. OWLS VIII Melbourne, Australia 28th Nov - 1st Dec 2004. OWLS VII Lucerne, Switzerland, Sept 2 - 9, 2002. OWLS VI Sydney, Australia, Feb 22 - 24, 2002. OWLS V, Heraklion, Crete, Greece, Oct 13 - 16, 1998. OWLS IV Münster, Germany, July 9 - 13, 1996. OWLS III Tokyo, Japan, April 10 - 14, 1994. OWLS II Münster, Germany, October 4 - 9, 1992. 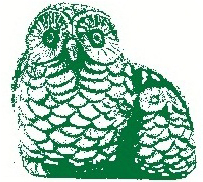 OWLS I and founding conference of this society was held August 12 - 16, 1990, in Garmisch-Partenkirchen, Germany, as satellite conference to the General Congress ICO-15.